Jody Rowe, Chief Executive Office, Rowe Advisory, featured in the SA Weekender magazine this weekend. Here’s a snippet from the article written about FIFO workers. As the daughter of Bob Rowe, one of Australia’s best-known red meat processors and the other half of T & R Pastoral company (now Thomas Foods International), Jody Rowe was used to being in a male-dominated environment. Rather than work in the family business though, Jody chose to carve out her own career in another predominantly male environment, the mining industry. Trained as an accountant in Adelaide, Jody, 53, initially worked in a commercial role on site in the goldfields of central Western Australia, a job she thrived in, despite the demanding conditions of a six week on, one week off, fly-in fly-out roster and the rampant chauvinism of the 1990s. “Only a resilient female could survive out there,” she says. “If I hadn’t come from a commercially resilient family background I probably wouldn’t have put up with all the chauvinistic comments. “I gave as good as I got!” Jody explains. Her work ethic and passion for the resources industry propelled Jody’s career to working in commercial, contracts and procurement roles for multinational companies including Barrick Gold and Rio Tinto. Unfettered by a husband and children, Jody could focus on her career. In 2013, Jody was based in Brisbane, working long hours for the Queensland Gas Company (now Shell) as head of contracts and procurement. Her social life was limited to business networking. That all changed when her father died in October of that year. About to turn 50, it was all the impetus she needed to redress some balance in her life. Jody left QGC several months later and set up her own consulting business, Rowe Advisory, in Brisbane first and, now, Adelaide. Although most of the high-level business will be based in Queensland, Jody is planning on creating jobs in her hometown where she now lives. She sees Adelaide as the ideal shared services hub with its low cost of overheads, cheap cost of living and plenty of employable graduates looking for opportunities here. 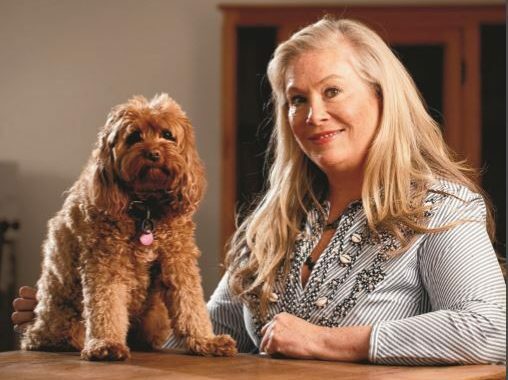 Where some see Adelaide’s size as a negative for business, Jody sees opportunity. Calling Adelaide home means that Jody can reconnect with family and friends, and revive that social life that was missing in Brisbane. Having built a solid profile in the resources industry, Jody can also now reap the benefits and build her business without compromising the rest of her life. Her approach seems to be working with 18 consultants now working for her. “When I was in Brisbane, I was constantly thinking ‘what do I need to do?’. I’ve worked out that you don’t need to check the business plan every three days, it is actually okay,” Jody says. She travels to Brisbane regularly to check in with her business there but she is determined to make the commuting work for her. She arranges her travel for several week stretches rather than just a week at a time, not only for the purpose of keeping a close eye on the business but also out of consideration for her dog, Ruby.